[dropcap]B[/dropcap]RUSSELS – The proposal on the reform of the Common Fisheries Policy (CFP) has come under the spotlight and sparked off intense debate on how to pursue “sustainability”. However, the unsolved conundrum of illegal fishing, seems to be one of the biggest obstacles to reach the consensual goal, which is regarded as “a serious threat to the sustainable management of fish stocks” said Maria Damanaki, European Commissioner for Maritime Affairs and Fisheries. Being one of the world’s largest fish consumers, the European Union has 75 percent of the fish stocks that are overfished. Meanwhile, multiple reports show that illegal fishing is one of the factors that contributed to the figures significantly. Although detailed and strict regulations have been implemented since Jan. 1, 2010 at EU-wide level to combat illegal, unreported and unregulated fishing (IUU), illegal fishing currently is not monitored and restricted effectively at the national level, for instance, at the level of the country which received the largest amount from the European Fishery Fund – Spain. 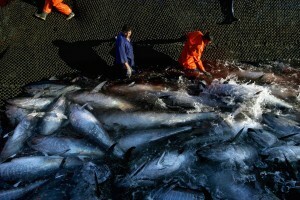 According to the investigative reports done by the International Consortium of Investigative Journalists and Greenpeace, the Spanish fisheries industry has received more than €5.8 billion in subsidies since 2000 while lots of the fishing companies infringed a series of laws, including building overcapacity fleets, falsifying catch labels, using fraudulent identities, etc. After the cases have been widely covered by the media, 80 percent of the convicted fishermen who failed to appeal could still continue to receive subsidies from the Spanish government after being penalized by the court. Meanwhile, the Spanish government continued to receive subsidies from the EU without obstacles, which kept the ball rolling. Moreover, illegal fishing is abetted by the incompetence of the EU to take immediate action. The EU usually takes legal action against member states who fail to fulfill their obligations – which is a tremendously long process. Regarding the court case against France in last month (Oct. 19), the General Court of EU eventually confirmed that France has to pay a fine for failing to regulate illegal fishing between 1984 and 1987, which is more than 25 years ago. 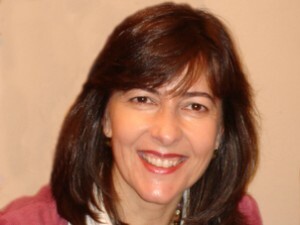 Dealing with the perennial problem of illegal fishing, Maria do Céu Patrão Neves, Portuguese member of the European Parliament (MEP), believes that decentralized management, which is mentioned in the proposal, should be one of the main focuses of the reform. “A good decentralization could in a certain level give a right answer,” Neve, who is in the European People’s Party and the Committee on Fisheries of the parliament, said. Neves believes that decentralized management, which is also called as regionalization, can solve the problem of illegal fishing by establishing goals at the EU level and requiring member states or different regions to meet the targets by their own different means. Furthermore, Neves also believes that decentralization is an alternative way to change the hostility between fishermen and scientists in the past. Neves trusts that only a better partnership with fishermen can make the collection of scientific information easier, and it will change the attitude of the fishermen eventually. 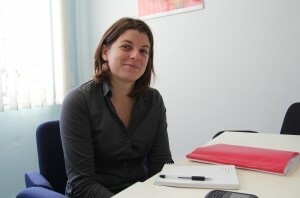 Sharing a similar opinion that the EU should implement sanctions, Saskia Richartz, EU Oceans Policy Adviser of Greenpeace emphasized the importance of the EU to have more power on penalizing the member states who disobey the regulations. Richartz also suggested that some EU-wide similar principles should be set up, such as a minimum sanction that is significant enough to deter people from violating the regulations. “For instance, the commission should penalize Spain … for not having the same level of access to fishing rights, because they are not able to implement the rules in their country, that they are not able to manage the quota properly,” said Richartz. Amid the heated debate among different interested parties, Malafosse from Oceana thinks that the discussions on how to guarantee 27 member states will comply with the new regulations are far from adequate. “We are all focusing on details and forgetting the bigger picture about enforcement. It is not enough for the debate and we should bring it back,” said Malafosse from Oceana. According to the Green Paper released by the European Commission in 2009, one of the structural failings of the reform of CFP in 2002 is the “lack of political will to ensure compliance and poor compliance by the industry”. The EU fisheries subsidies were first introduced in the 1970s and led to the problem of overfishing, over capacity of fleet and stocks reduction since. Financial Instrument for Fisheries Guidance (FIFG), followed by European Fisheries Fund (EFF), provided €4.12 billion and €3.8 billion budget for CFP from 2000-2013, respectively. Spain has received more than €5.8 billion of subsidies from EU since 2000, which is the country receiving most subsidies in the EU.